More than just a tool to keep children occupied, coloring books provide an entertaining, friendly, and interactive medium that can simplify otherwise complicated health-related subjects. Important public-health issues are conveyed to children in coloring books in a way that can transform an unpleasant subject into an engaging learning opportunity. 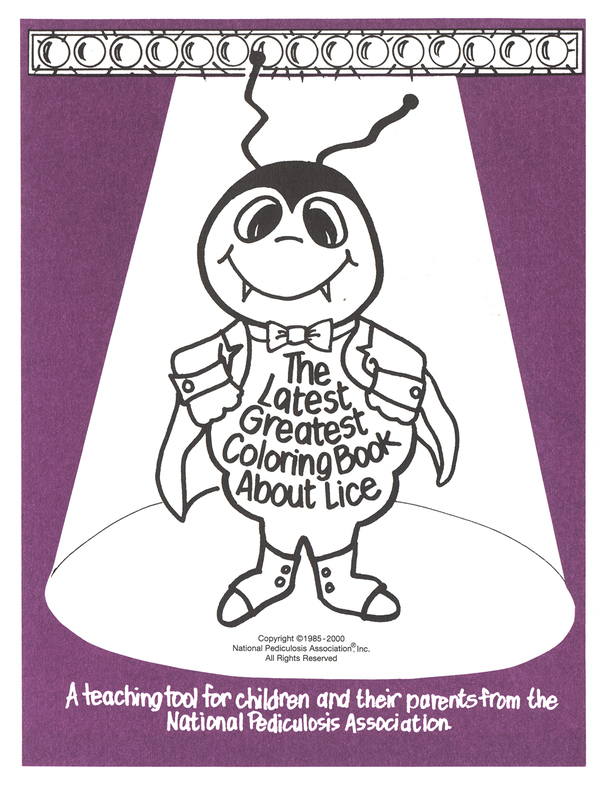 For instance, it is uncommon to associate the word “cute” with “lice,” however the The Latest Greatest Coloring Book About Lice, a collection item in the National Library of Medicine’s (NLM) historical Prints & Photographs collection, achieves such a feat. 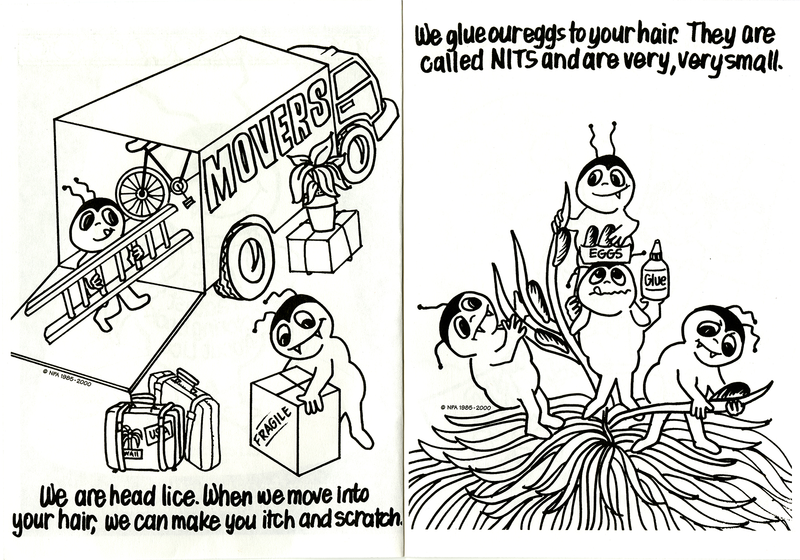 This 10 page teaching tool produced by The National Pediculosis Association (NPA) contains whimsical drawings of lice in a story about where they live, how they move, and how people can get rid of them. The downloadable coloring book is an example of what has become a popular health-education tool for children used by organizations to teach everything from proper eating habits to what to expect during hospital stays. The Centers for Disease Control (CDC) encourages children to be “healthy heroes” with their coloring book, Express Your Health. In Montefiore Medical Center’s Coloring Fun for Healthy Kids, Dr. Owl leads its readers through a series of illustrations of physically active fruits and vegetables to impress upon them the importance of healthy eating. A drawing of an angry germ on the cover of Spread the Word About Handwashing and Not the Germ coloring book, available from the St. Jude Children’s Research Hospital, introduces children to the importance of good hygiene. The National Institutes of Health (NIH) publishes coloring books spanning numerous health topics including the importance of calcium for healthy development, environmental issues, and understanding the flu. Medical treatment is stressful for everyone, especially children who are subject to fear and anxiety brought about by intimidating environments and unfamiliar situations. Hospitals provide coloring books to their young patients to assist in familiarizing them with what they will experience. 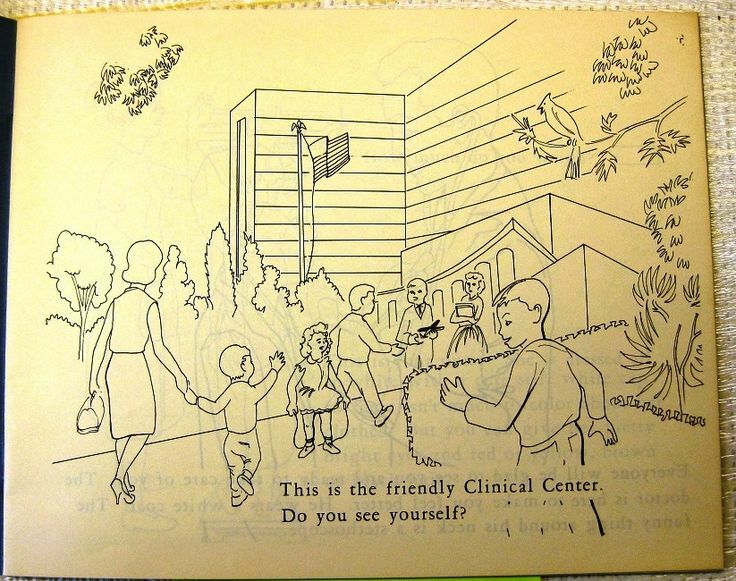 The NIH produces a guidebook for what children can expect when admitted to the NIH Clinical Center (a modern version of the coloring book, The Friendly Clinical Center produced in 1961 to introduce children to the research hospital). The Child Life and Creative Arts Therapy Department at UC Davis distributes a coloring book to patients that explains the possible reasons they were admitted, and introduces them to medical professionals, equipment, and examination rooms. Complex radiology procedures are simplified in the “Adventure Series” coloring books, created by the Department of Pediatric Radiology at Children’s Hospital of Pittsburgh of UPMC in collaboration with General Electric. Each specific imaging study is represented in the series as an “adventure,” and serves to prepare parents and their children for their visit to one of the adventure rooms, where the patient will undergo their procedure. Public health agencies often address topical health-related issues in coloring books, and make them available for kids to look at with their parents to familiarize them with issues that may affect them, and to minimize any adverse reactions to seeing or reading about such issues in the news or social media. 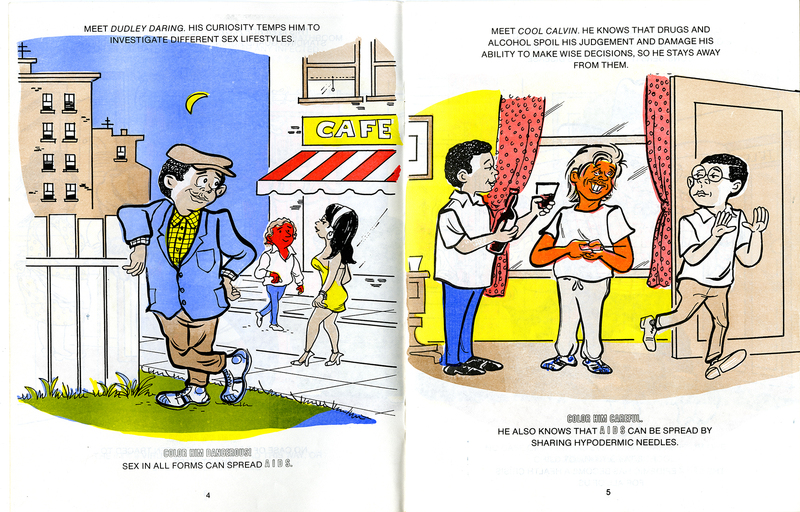 NLM has several AIDS and HIV-related coloring books in its collections including one created by Morrie Turner, the first widely syndicated African-American comic strip artist, and the first to include ethnically diverse characters into his comics. 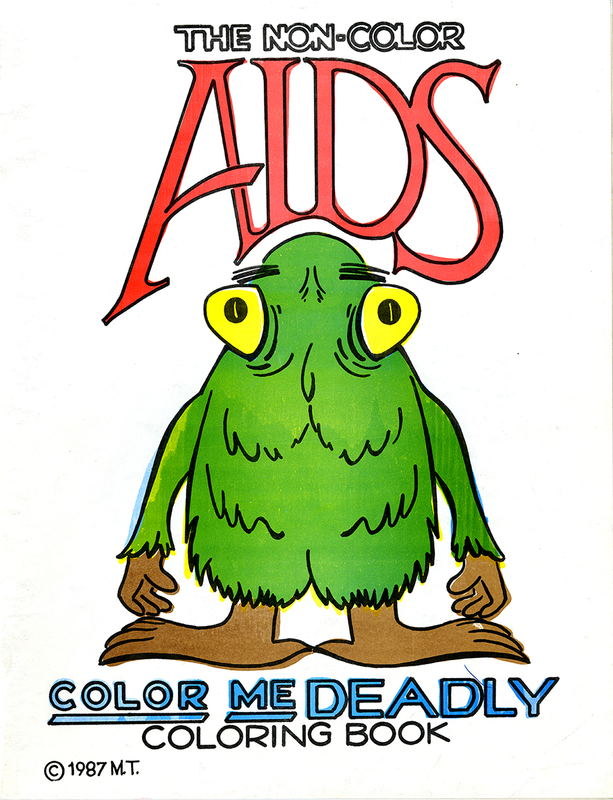 The Non-Color AIDS Color Me Deadly Coloring Book was created by Turner in 1987, and illustrates people of various races and ethnicities in situations where their decisions are based on either fact or fiction about AIDS. In response to other recent events, the CDC created coloring books for parents to use with their children if a parent was going to West Africa as an Ebola responder. And on the topic of Zika, the Alabama Department of Public Health released the Skeeter Beaters coloring book, for children in pre-K through third grade, encouraging them to join the “Alabama Zika Virus Swat Team” and prevent the spread of the virus. Recently, coloring books have broken through the generational barrier as illustrated by the recent popularity of coloring books for adults. Aside from simply the fun involved in the activity, there has been much public discussion about the health benefits of coloring for adults. Even the British Medical Journal has taken notice of the trend. Many cultural institutions and libraries are capitalizing on the adult coloring craze by providing images from their collections as a crossover relaxation and education activity. Today, NLM is pleased to join the movement and announce the launch of a coloring book featuring Images From the History of Medicine. 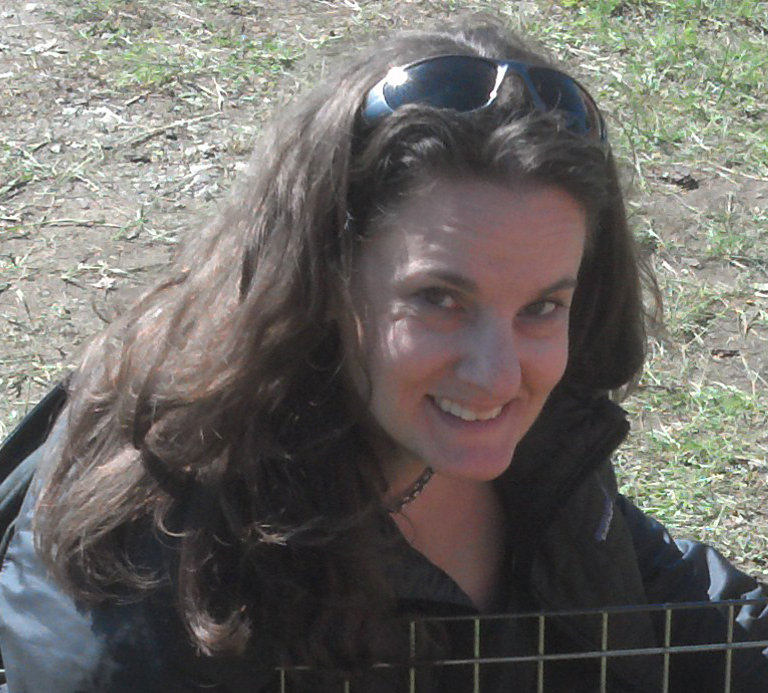 The book is free and available for download on the Library’s website. We hope you enjoy coloring, and learning about, our medical heritage.